Thanks to the Straal payment gateway, Blinkee.city users can pay for their rides with credit and debit cards of all major organizations, and soon they will also enjoy a new, broadened scope of the supported payment methods tailored to their respective geographies across the globe. The system enables one-off as well as card-on-file transactions (one-click and recurring payments). Straal Kompas helps Blinkee.city to monitor all the key indicators associated with payments in real time, manage ongoing transactions and generate clear, fully customized transactional reports. The optimization algorithms, in turn, simultaneously maximize the transaction approval rate and minimize the cost of payment processing. Blinkee.city has currently over 100 000 users in 13 cities across Poland and is boldly expanding onto other European markets. The network has recently launched its services in Hungary, Spain and Croatia. In the near future, Polish electric scooters will also pop up in the streets of Greek and Swedish towns. Mobility-as-a-Service and the subscription-based business model are among the key trends of today’s digital economy. Not only do we want to track these trends, but also to effectively contribute to their development. Therefore, we are truly glad that Blinkee.city has placed their trust in our solutions and expertise – said Agnieszka Kamola, CCO, Straal. Our mission is to provide merchants with everything they could ever need to effectively accept payments at any stage of their development. We take pride in supporting the expansion of ambitious, disruptive businesses – added Agnieszka Kamola. Blinkee.city executives admit that the implementation of Straal plays a crucial role in the company’s preparations for global expansion. We have been growing our venture for over a year now. The local success has prompted our decision to expand abroad. For this task, however, we needed a reliable partner, capable of providing payment services around the world – said Marcin Maliszewski, Co-founder of Blinkee.city. We have selected Straal because we know that this provider can really keep up with our pace of growth, process payments from wherever we choose to operate and, at the very same time, give us full control over processed transactions. 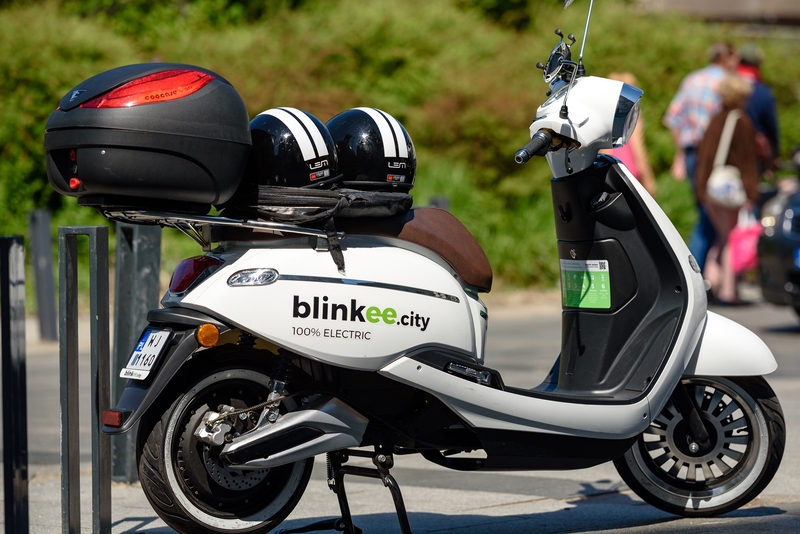 Blinkee.city scooters are available via a special mobile application for iOS and Android devices.